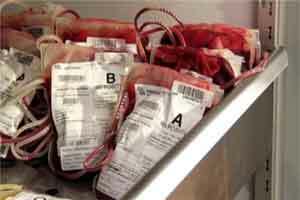 Kolkata: Three more blood banks are going to be set up by the West Bengal Government – two in south Bengal and one in the north. Chief Minister Mamata Banerjee would inaugurate all three on October 11. The blood banks are being set up in Panskura in Purba Medinipur district, Gopiballavpur in Paschim Medinipur district and Chanchal in Malda district. All the three are located inside multi super-speciality hospitals. These hospitals are a brainchild of Ms Banerjee for creating a high-quality health infrastructure in Bengal. With the completion of these three, the number of State Government-run blood banks has risen from 70, and combined with private blood banks, to 131. To complement the demand for blood components, the government has set up four more platelet separation units – at Nadia and Asansol District Hospitals, Cooch Behar MGN Hospital and Murshidabad Medical College Hospital. This would take the number of component separation units in State Government hospitals to 17. Nowadays, doctors often prescribe separate blood components like platelets, plasma, etc. for patients as not always are all components of blood required. This also saves precious units of blood, which can be used only when required. There are two main ways to increase the number of units of blood components available – to organise regular blood donation camps (which the Bengal Government conducts regularly, and also, under active encouragement by the government, do various clubs, doctors’ and other associations, etc.) and to separate components from 80 percent of the blood collected. According to State Health Department officials, plans are on to put up display boards at all government blood banks with information on the number of units of blood and blood components at the current time.